Iran, sensing the increasing international isolation, has long sketched the necessary blueprints to prevent a future already becoming very bleak. For decades Tehran has maintained this entire country and its vast oil reserves in its crosshairs. Recent developments in Iraqi Kurdistan prove the Iranian regime’s devious intentions and should alert the international community. The government of Iraq, jockeying to maintain ties with both Washington and Tehran, has unprecedentedly agreed to redirect Kirkuk province’s crude to Iran. This oil will be supplying a refinery located in the city of Kermanshah, close to the recently earthquake-struck region. This decision follows the retaking of the oil-rich city of Kirkuk from the Kurds in the notorious shadow of Iran’s Revolutionary Guards (IRGC) Quds Force chief Qassem Soleimani. Iran has continuously fueled regional tensions across the board, launching parallel proxy wars in Iraq, Syria, Lebanon and Yemen against the entire Arab World, with a main focus on Saudi Arabia. After Iran enjoyed 16 years of strategic mistakes and appeasement, the Trump administration has expressed major concerns and is taking major action against Tehran. 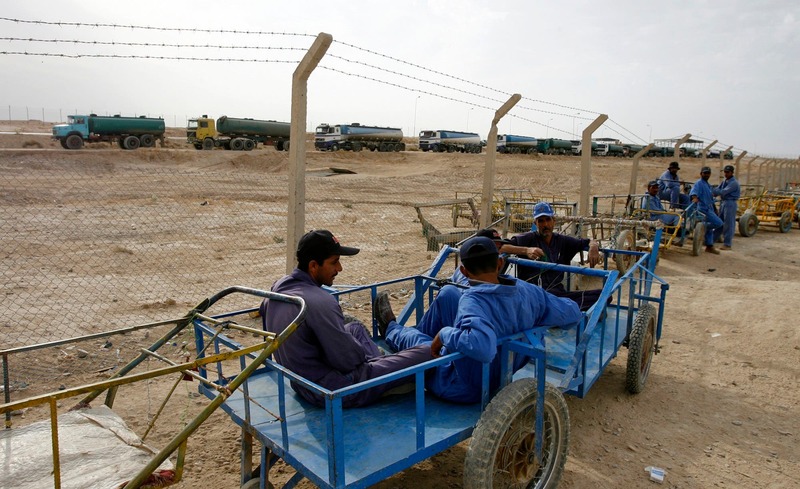 Iran is already receiving trucks of Iraqi oil, currently based at 15,000 barrels per day valued at around $1 million, with plans to escalate to 60,000 bpd, a Reuters report citing Iraqi officials indicates. Considering it its own backyard, Iran has pressed Iraq over an oil pipeline project to ultimately export Kirkuk oil through Gulf ports. Tehran’s ultimate objective is to pump 650,000 bpd of Kurdish oil into refineries across Iran and for export purposes, the report adds citing a senior Iranian official. While the cover story may seem an ordinary economic agreement between two neighboring countries, Tehran cannot deny a malign past of seeking to take advantage of its crisis-riddled western neighbor. In April 2012 the London-based International Centre for Development Studies confirmed concerns of Iran stealing large amounts of Iraqi oil. Iran’s efforts involved stealing an annual value of $17 billion worth of oil from fields considered mostly Iraqi and not shared between the two oil-exporting rivals, the report indicated. Those fields enjoy a reserve of over 100 billion barrels, with the majority laying inside Iraq. Iran was taking an estimated 130,000 barrels of Iraqi oil per day, according to the report. The Iraqi oil fields of Dehloran, Naft Shahr, Beidar West, and Aban were the victims of this vast plundering. The oil fields of al-Tayeb and Fakka, along with various sections of Majnoun, were also targets of Iranian misuse, adding another 250,000 bpd to the above figure. Iran was stealing a whopping 14 percent of Iraqi oil revenue, depriving this war-ravaged nation of desperately needed funds that Tehran is likely to allocate to notorious belligerence across the region. Iran has also supported the Popular Mobilization Force (PMF), a conglomerate of mainly Shiite militia groups. This entity, following Iran’s IRGC paramilitary Bassij prototype, stands accused of smuggling oil from wells across to the country to Iran on a daily basis, according to an April 2017 report citing an Iraqi Oil Ministry source. 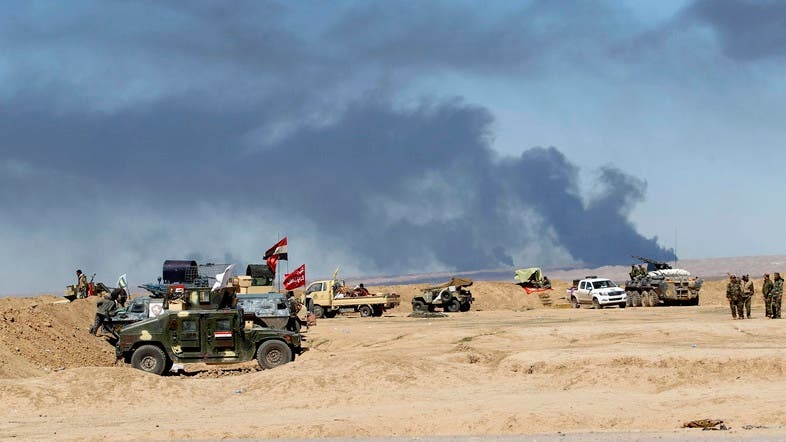 The Badr militia, Iraqi Hezbollah, Saraya al-Salam militias and al-Fadilah party militants have also gained significant control over the al-Basra and Maysan refineries and A’las, Oujeil and Hamrin oil wells in Salahuddin province of central Iraq. The Iraqi Oil Ministry has remained silent as PMF leaders have been smuggling hundreds of oil tankers to Iran on a daily basis, the source added. Salahuddin Govenor Ahmed al-Jabouri’s efforts in urging Baghdad several times to protect A’las and Oujeil oil wells located east of Tikrit from such theft have fallen on deaf ears. On a daily basis dozens of oil tankers are stolen and smuggled through Tuz Khurmatu from these oil wells, the report adds. The PMF was initially established in response to the attack staged by Islamic State terrorists. Their activities, however, have expanded to Iraq’s political affairs and the PMF also stand accused of flagrant human rights violations. To make matters even more complicated for Iran, Soleimani was spotted near the Iraq-Syria border alongside the PMF, making quite a stir in the media. The entire history of Iran stealing Iraqi oil can be described as a chapter of Tehran’s silent growth of influence, especially during the years of Obama’s appeasement. Qassem Soleimani, running the IRGC’s international branch known as the Quds Force, is also known to be the right hand of Iranian Supreme Leader Ali Khamenei. Alongside the military campaign he runs across the Middle East through Iran-backed proxy militias, Soleimani also has Iran’s oil business heavily on his mind. A September visit to Iraqi Kurdistan by Soleimani came prior to the Iraqi army’s recapture of Kirkuk, resulting from a rift in Kurdish forces leading to the city’s fall into Baghdad control. “… the presence of Quds Force commander Qassem Soleimani, exacerbated tensions among the Kurds and the government in Baghdad,” US Senator John McCain said in Washington recently. Iran has since 2003 been known to fuel division across Iraq and Soleimani’s recent stop in Kurdistan came after a referendum that Iran vigorously opposed, and was followed suspiciously with Kirkuk’s sudden fall. “The recapture of Kirkuk was coordinated with Soleimani,” according to the abovementioned Reuters report. This can lead to a conclusion that Iran, sensing harsh times ahead, is providing increasing control to the IRGC over the vital oil sector in its already troubled economy. This may seem a flawed decision by Tehran considering the IRGC’s recent terrorist designation by Washington. Yet it also sheds light on Iran’s dependency on the IRGC to further advance domestic and regional policies. Iran will resort to further such desperate measures in the coming future, comprehending how the tide is changing drastically against its interests. A possible agreement between the US and Russia over Syria following a recent meeting between President Donald Trump and his counterpart Vladimir Putin; the surprising resignation of Lebanese Prime Minister Saad Hariri and his visit to Paris; France raising the tone against Iran’s ballistic missile program; and growing domestic unrest witnessed following the recent earthquake in western Iran are all tallying Tehran’s deepening concerns. Conditions are shifting fast, and Tehran believes desperate times call for desperate measures. Vital now is for the international community to increase the velocity of restrictions damning this regime. With ISIS’s days of authority coming to an end Iraqi Parliament Speaker Salim al-Jubouri has called on Prime Minister Haider al-Abadi to disband the PMF. Sunday’s Arab Summit session in Cairo ended in a statement describing Iran as a “dangerous dagger” in the region, especially in its approach towards Saudi Arabia and Gulf countries. “Ballistic missiles fired at Saudi Arabia have amounted to 76 rockets, all Iranian-made, and therefore we affirm our full solidarity with Saudi Arabia in everything it takes to protect its national security,” said Arab League Secretary-General Ahmed Aboul Gheit during the emergency meeting. The entity went as far as saying it will not declare war on Iran at this stage. US President Donald Trump signaling future pressure on Iran’s oil exports, Congress passing a bill aimed at blocking the sale of commercial aircraft to Tehran and the Bahrain Interior Ministry revealing further details of an Iran-linked terrorist cell are also further steps in this direction. This is the nature of measures needed against Iran these days.